With more than 20 years racing experience, Polestar is at the forefront when it comes to performance optimisation. What we learn from motorsport, we take into the development of new products. The goal is always the same - to offer all Volvo owners an even greater driving experience. Our optimisation is the result of careful development work within five key areas. Together they form a balanced, well proven and thoroughly tested package of driving pleasure. Polestar Performance Optimisation enhances driving pleasure and increases the performance of your Volvo. The technology has been developed by Polestar in close cooperation with engineers at Volvo. The car feels more active to drive while simultaneously increasing safety in situations where further performance is required, for example when overtaking. All engines are optimised with a focus on torque and power within the speed range that the driver usually uses, i.e. the midrange. The increased performance comes when it is needed most; for overtaking, on long up-hills or when driving with heavy trailers, which provides increased safety, as better acceleration reduces the time it takes to overtake. For cars with the new Drive-E (VEA) engine, Polestar engineers have taken a holistic approach to take the driving experience to a new level. No less than five key functions have been optimised to provide faster response, better balance and more intuitive driving. This results in a car that responds quickly and predictably, which is important for those who engage in active driving, whether on the racetrack or on the road. Throttle response has been calibrated to respond more quickly to driver commands - something that gives higher precision and better feel. The automatic gearbox changes gears more quickly to both improve acceleration and to better respond to the driver's commands, e.g. downshifts before overtaking. The gears have also been calibrated to exploit the engine's improved midrange performance. The gearbox also avoids changes when cornering at high g-forces (where possible) for better stability. We have concentrated the power where it is needed most - in the midrange; perfect for overtaking or when on a busy motorway. Combined with faster throttle response and gear changes this makes the car significantly more dynamic to drive. All of this is offered without an increase in the certified fuel consumption or emissions level, which means that the car's environmental impact remains unchanged. The optimisation can only be installed by authorised Volvo dealers whilst maintaining Volvo's original warranty and installation can be carried out quickly when the car is in for a service or a tyre change for example. Visit www.polestar.com for updated information on the offers available with prices starting from £745. 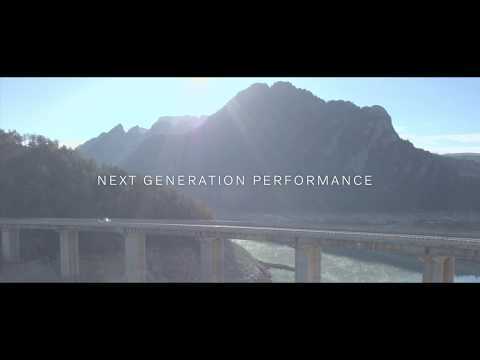 Polestar Performance Optimisation is not available for all engines. To find out whether your Volvo can be optimised, visit www.polestar.com or contact us today. Alternatively, if your Volvo is over 3 years and no longer covered by the manufacturers warranty, we are also able to offer performance upgrades by RICA Engineering. RICA engineering develop unique software for performance upgrading the engine management (ecm) for all kinds of cars and engines (diesel and petrol) and have done since 1992. Through a wide network of dealers and tuning centres, exporting tuning products to over 30 countries worldwide. In their R&D offices in the Netherlands and Sweden, the best automotive software is developed with highly advanced techniques. The complete engine management will be optimised with RICA software. That they are professionals, and is shown with their success in motorsport. RICRICA iSoftloaderA upgrades can either be installed by ourselves as a RICA dealer, or by yourself with the iSoftloader unit. RICA Engineering never stop working on their software. Everything is performance tested and checked on their modern MAHA 4WD rollingroad, capable of handling power up to 850hp. This way RICA can guarantee that the original RICA ECM upgrades will not cause harm to the engine or gearbox of your car and remain dealer compliant. Contact us today for more details or a quote, or alternatively head over to www.rica-uk.com for more details.